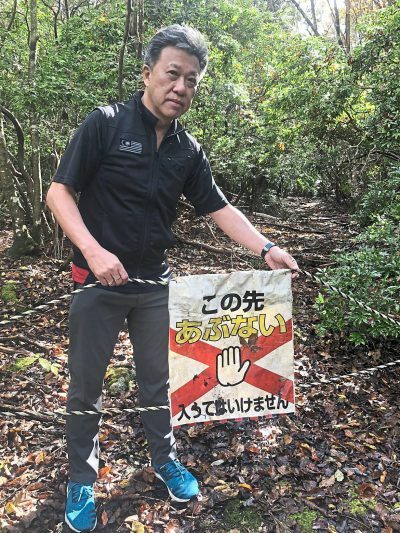 首页 / 游人悠事 / Off The Beat / End of the road: What is it about Japan’s Aokigahara Forest that attracts tourists? It is one of the scariest places on earth, with an evil aura and a spooky disposition. And as I mentioned, I felt I was being watched when I was there. Is it a haunted place? My bone-chilling assessment is “yes”. 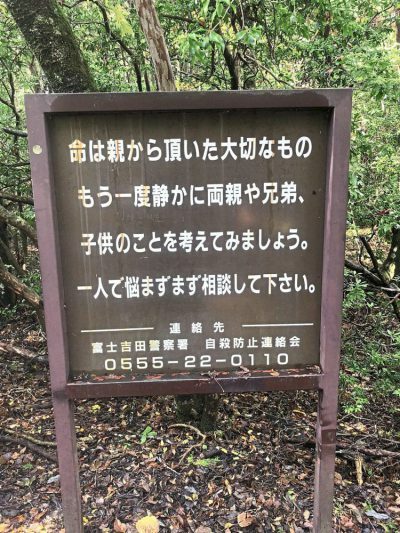 There is no such thing as a designated or popular suicide spot at the sprawling Aokigahara Forest, which sprouts from the foothills of Mount Fuji. 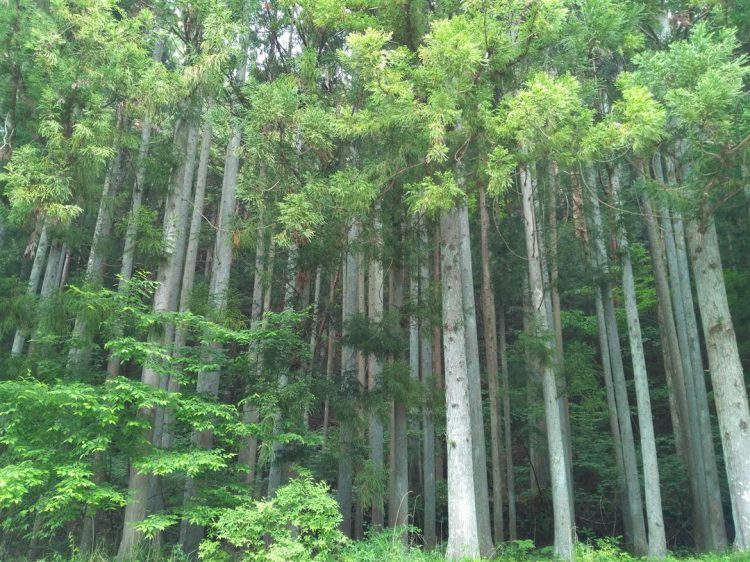 I had read enough horror stories about the Japanese coming to this forest to end their lives. Also, I was unfortunately privy to many exaggerated videos made by locals and Westerners, so I had to see the place for myself. It had become an item on my bucket list, so, I had to turn myself into a dark tourist to visit the most obscure and unusual sites. But I wasn’t prepared for the vastness of the forest, aptly known as the Sea of Trees, covering 30sq km. No forest entrance exists, so visitors can just walk into it from any side and disappear with no intention of ever returning. I visited this landmark on the eve of Halloween, and it was purely intentional. It was a morbid decision, if I may say. For some reason, I wanted to visit this notorious place. When I texted my friends in Tokyo about driving me to Aokigahara, they “virtually” stopped dead in their tracks and had to ask me twice if I really wanted to go there. My friends went to Chinese schools in Malaysia, and then studied Japanese in Tokyo, but our lingua franca via WhatsApp was Bahasa Malaysia. They needed to be certain that I wanted to visit “hutan orang bunuh diri” (suicide forest) and then follow that up with “pesta hantu” (Halloween) in Shibuya. My friend, who eventually accompanied me to Aokigahara, said he had no problem going, and that he wasn’t superstitious. It’s well known that the Chinese believe that wearing red can ward off evil spirits and other supernatural creatures. If I had been cheekier, I would have asked him about the coincidence, but as we began our trek into the forest, he was unusually quiet, and not his usual jovial self, so I decided against it. We saw a trail, and thought that would be good place to start as any. A signboard advising those who are thinking of taking their lives, to consider their loved ones. The consensus would have seen it the same way because we immediately noticed a sign with a cautionary message. It advises those who have problems, presumably with intentions of ending their lives, to “think carefully about your children, your family” and reminds them that “your life is a precious gift from your parents.” Completing the intervention endeavour is a telephone for troubled individuals to call someone who would listen to their troubles. Opposite was a familiarly prohibitive looking sign, but believing that fortune favours the brave, I decided to walk into the path anyway, until I realised, I was no longer on any trail. By then it was impossible to continue unless I hacked through the trees and growth, which at this point, was thicker and completely blocked my way. Something had to give, so I decided to turn back before I lost my bearings completely, and be reunited with my friend who was waiting for me anxiously. He was relieved to see me and had realised by then that I wasn’t foolhardy and had no suicidal tendencies. Even as I write this, I’m getting goose bumps thinking of the thick foliage and moss-covered rocks in the forest. 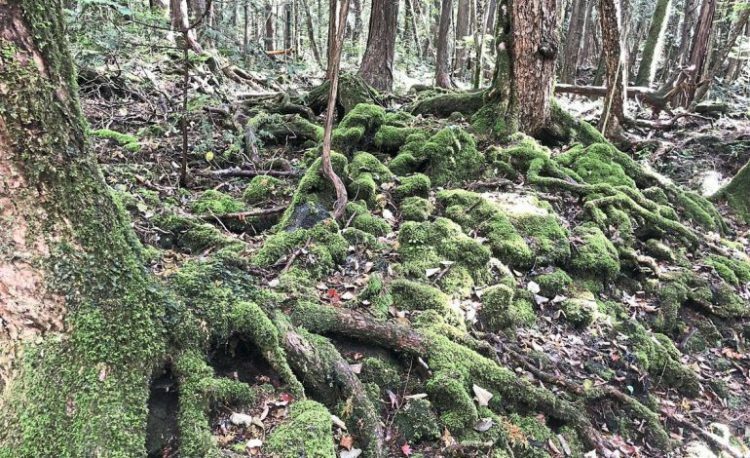 For Malaysians, rain forests are a common sight, but Aokigahara is different because the uneven ground is covered with hardened lava. After all, this is at the foot of a volcano. The forest is both pretty and eerie. It was already the beginning of autumn, and some trees had started to turn orange and red, but the forest was generally still dark. There are also hundreds of caves in the forest, a number of which have yet to be explored. Many of the trees seem to have naturally twisted and turned, reminding me of the books and movies we read and watched as children about wicked witches and children getting lost in those dark forests. But it’s the sense of isolation that gripped me. Everything was still, and my imagination ran wild at one point as I felt I was being watched by invisible eyes in the forest. Many times, I could only hear my breathing and panting when walking up the terrain and, jumping over pools of murky water took some effort and made me sweat. Apparently, no animals live in the forest, but I didn’t believe it, and this is where I set out to separate fact from fiction. I’ve read enough tales of ghosts, or yurei (as they are called in Japanese), and of lost mournful and vengeful souls lingering in the forests known to lure those who are sad and lost, off the path. Believing in God, it’s only natural that I also believe in ghosts. Of course, I said my Christian prayers before beginning the trek. It’s true that Aokigahara is a terribly sad place. As many as 100 people a year come here to kill themselves because the forest is so lush that some corpses can go undiscovered for years, if not forever. According to one report, “because of the high suicide rate, Japan’s government enacted a plan of action that aims to reduce such rates by 20% within the next seven years. The most popular method of death is hanging, with poisoning (often via drug overdose) the second. Aokigahara achieved notoriety in 1960, when Japanese writer Seicho Matsumoto released the tragic novel, Kuroi Jukai, in which a heartbroken lover retreats to the Sea of Trees to end her life. 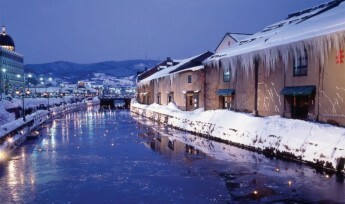 More novels, and even a movie, have depicted the forest. And of course, in the age of social media, there are thousands of blogs and videos on this place, too. According to journalist Kristy Puchko, “there are volunteers who do patrol the area, making interventional efforts. However, these annual endeavours are not intended to rescue people, but to recover their remains. “Police and volunteers trek through the Sea of Trees to bring bodies back to civilisation for a proper burial. I didn’t see any of those images on social media in Suicide Forest, of abandoned personal effects snared in the undergrowth or remains dangling from branches. I am in no position to say if they were real or planted for dramatic video impact, as I decided to remain on the path. I saw plastic ribbons on trees, though I didn’t follow them. They are typically put up by those looking to walk deep into the forests to end their journey, or to change their minds and make their way back to the path. Of course, they could just be ribbons put up by volunteers who search and clean the forests, or warnings of falling branches. 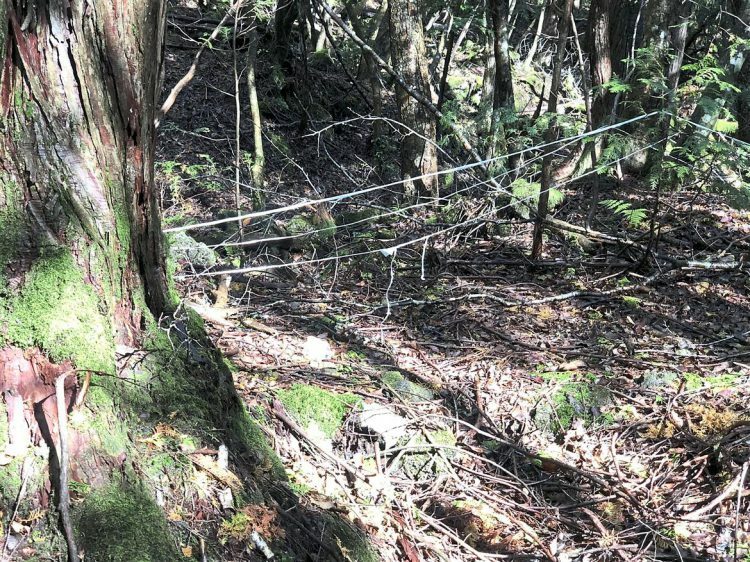 There are plenty of claims that the soil in the forest, rich in magnetic oil, wreaks havoc on GPS systems, compasses and mobile phone signals, hence the necessity for the ribbons. 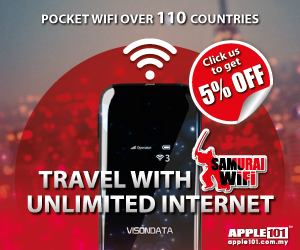 But my mobile phone was working fine, and I was still getting WhatsApp messages from Malaysia. Perhaps I wasn’t deep enough in the forest? Still, the reality is that the forbidding Suicide Forest continues to lure people into its interior to keep them there. 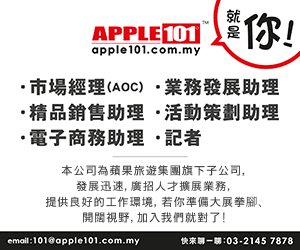 Wong Chun Wai began his career as a journalist in Penang, and has served The Star for over 27 years in various capacities and roles. He is now the group's managing director/chief executive officer and formerly the group chief editor. 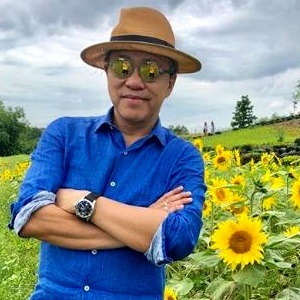 On The Beat made its debut on Feb 23 1997 and Chun Wai has penned the column weekly without a break, except for the occasional press holiday when the paper was not published. In May 2011, a compilation of selected articles of On The Beat was published as a book and launched in conjunction with his 50th birthday. Chun Wai also comments on current issues in The Star.